Welcome to Hobart of Wausau! 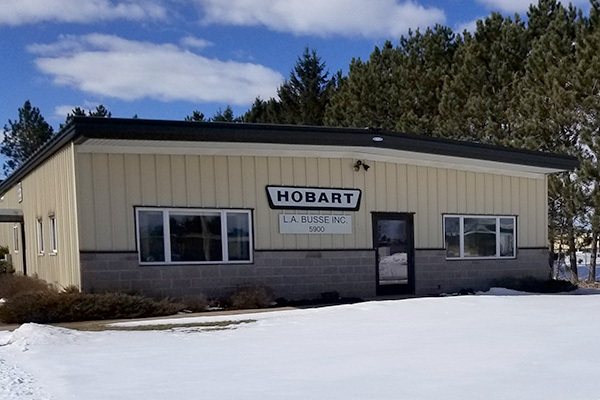 Hobart of Wausau has been serving North Central Wisconsin and the UP of Michigan for over 40 years with offices in Wausau, WI and Marquette, MI. We specialize in servicing most major brands of commercial food preparation, cooking, and baking equipment. We even service coffee and espresso makers. For your commercial food retail equipment needs, we proudly sell the complete HOBART line, as well as complimentary products from many top manufacturers. We are also your source for quality used/refurbished equipment. Website copyright ©2018 Hobart of Wausau.